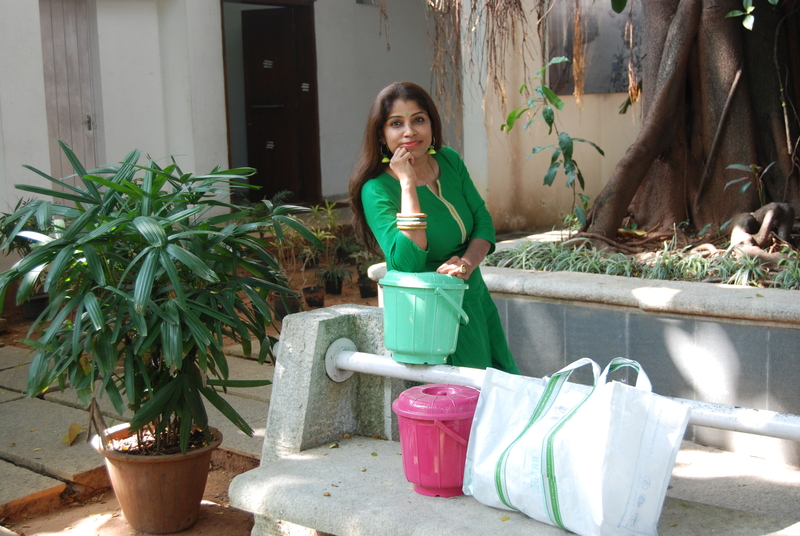 The noted radio jockey of yesteryears, newspaper and TV journalist, Vasanthi feels that unless segregation happens and each stream of waste is either composted or recycled, the city has no hope. Fully appreciative of the 2b1b campaign launched by citizen groups Solid Waste Management Round Table (SWMRT) and Kasamuktha Bellandur (KMB), Vasanthi pledged all-out support to segregating at source. This entry was posted in Endlessly Green and tagged 2 bin - 1 bag campaign, 2b1b, Solid Waste Management Round Table, Vasanthi Hariprakash, Waste segregation. Bookmark the permalink. Bring them on….each of them help many more to take care of our beautiful planet. !